There is no question that weight training is imperative for body-fat loss, strength gain, bone-density improvements, etc. Gone are the days where endless cardio is thought to be the key to improving your body composition. But the gym can be an intimidating place, especially for those who have never ventured past the cardio equipment. Free weights, barbells and cable machines may all look like torture devices if you’re a newcomer, and often the fear of “looking silly” or like you don’t know what you’re doing will hold you back. Here are a few tips and six beginner strength training workouts targeting the major muscles of the body to get you started weight training. -If you are afraid of what you may look like to other people while exploring new equipment, don’t be. Most people training in the gym are way too focused on themselves to really notice anything else. That’s the great part about self-improvement—you tend to be self-absorbed in the moment, and that is exactly how it should be! -Everyone was a beginner at one time. At some point, everyone in that gym picked up a weight for the first time, or got on a new machine for the first time. You have to start somewhere, so the sooner you start, the sooner you will be an advanced exerciser and able to help someone else new with a few tricks. -People with a passion for fitness will not judge. I have heard many excuses in January about how people will not start exercising because they do not want to look like a “New Year’s resolutioner.” Those of us with a drive, motivation and passion for fitness will be the first to tell you that seeing new people in the gym is motivating to us! 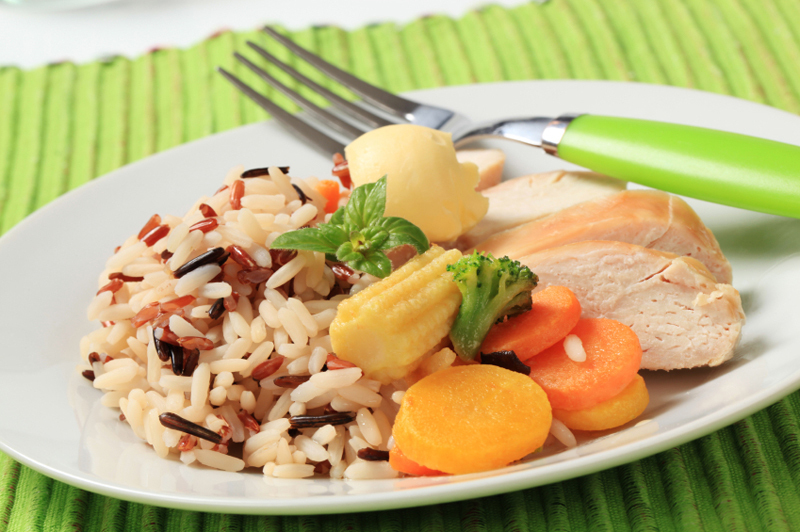 It means that you are ready to take that all important first step to getting healthier. Anyone who gets upset at new people in the gym is not worth your time. Fitness is not exclusive, nor is it a privilege. It needs to be a priority. So when I see new people in the gym, I get a little happier, because that is one less person who will suffer the consequences of being unhealthy due to excess weight or inactivity. 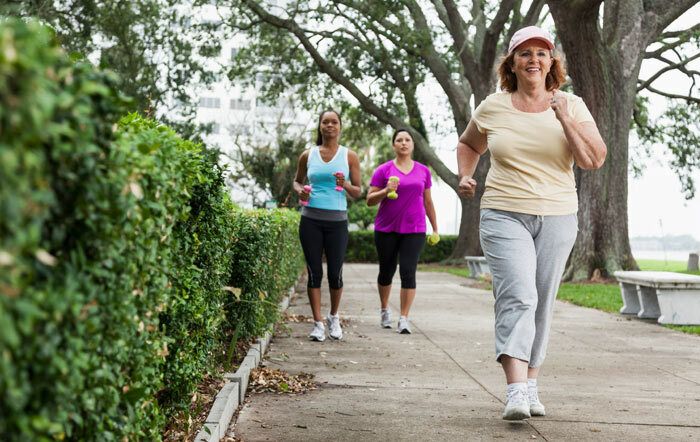 Plus, exercise improves your mood in the long run, and this world could use more happiness. -For your first time in the gym, choose a weight that is relatively light so you can establish your stability and baseline strength. Do 10 to 15 repetitions with a light weight, and if you are stable and comfortable, increase your weight for your second and third sets. Ideally, for optimal strength and muscle growth, you need to feel the burn on those last few repetitions. Improvements happen when you step outside your comfort zone, so choose a weight that fatigues your muscles in 10 to 15 repetitions. Repeat each exercise for three sets. You can move in a circuit with three or more exercises and little rest between sets, or if your gym is very crowded, do one exercise at a time and rest for 30 seconds between each set. 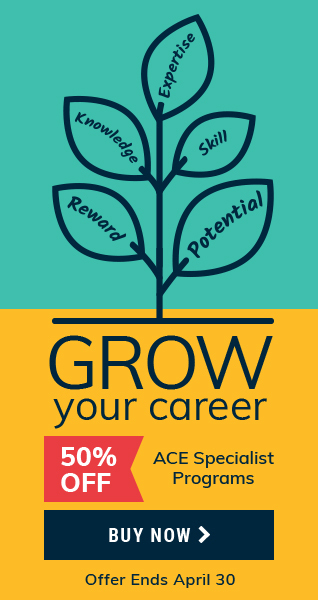 Start with at least two days per week, but then work on progressing to three. This is a great exercise to target the upper and mid back, as well as the arms. The most common one is on the cable machine, which has a long bar attached overhead and a seat right below it. Grab the bar in a wide grip, hands wider than your shoulders, and have a seat on the bench. Place your knees under the pad to help stabilize your lower body. 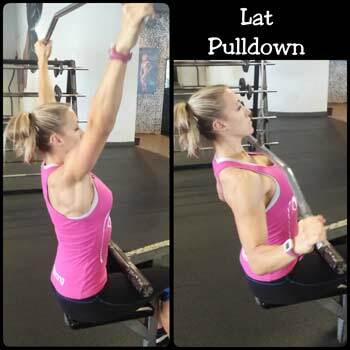 Lean back slightly, keep your chest up and pull the bar straight down to the top of your chest. Hold that position for one to two seconds. Concentrate on pulling your shoulders down and back, rather than rounding them forward. One trick is to keep your eyes up on the bar, which helps keep your back straight. Variations – Most cable machines have many attachments, so once you have perfected the lat pull-down with a traditional wide bar, you can play with other attachments, such as using a smaller bar for a closer grip, or an attachment that positions your hands parallel to one another. Dumbbells are great because they require muscular stability, and therefore work slightly more muscles than machines are able to. Grab two light dumbbells to start with. To prevent injury, it is important that you establish shoulder stability before attempting to lift a heavy weight. Stand in front of a mirror and hold the dumbbells up with your palms facing each other on either side of you head, elbows bent at roughly 90 degrees. Slowly press the dumbbells up and over your head. Hold the top position for a second, then lower back down to either side of your head. Repeat your first set of 12 to 15 repetitions. 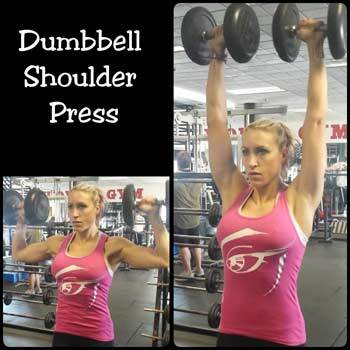 If you feel comfortable, increase the dumbbell weight for your second set. Variations – Work unilaterally by doing one arm at a time, which also adds a little core work to your press. A squat is a functional movement that works the major muscles of the legs, including quads, hamstrings and glutes. Squats can also help improve your daily activities if you have proper squat mechanics. For beginners, training your body to move properly can be hard at first. 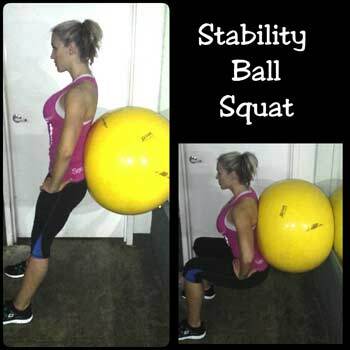 To simulate proper movement patterns, grab a stability ball and place it against a wall. Lean your back against it so the ball is positioned on your lower back. Position your feet shoulder-width apart and about 12 to 18 inches in front of your hips, so you are really leaning against the ball. Place your hands on your hips and bend your knees, keeping your weight on your heels as you squat down. Push your hips back, keep your chest up and finish when your thighs are parallel to the floor. Press through your heels to stand back up. Variations – Hold dumbbells in each hand, or incorporate biceps curls or shoulder presses during the squat to kill two birds with one stone. Grab a pair of dumbbells and find a flat bench. Sit on the bench and hold your dumbbells in each hand. Slowly lie back so that your head is supported at the end of the bench. Bring the dumbbells up to either side of your chest, elbows bent at about 90 degrees, palms facing forward. 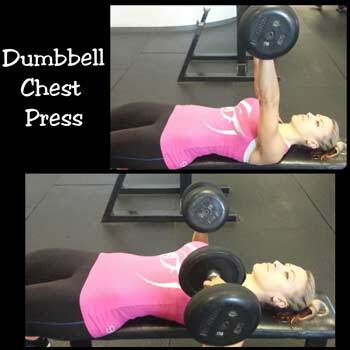 Slowly press the dumbbells up and together over your chest. Pause at the top, and then slowly and with control lower them back down to either side of your chest, elbows at bench level. Variations – Use a barbell, or change the position of your hands to parallel to target different muscles. Also use different benches, incline or decline, to change up the movement. Sit on the stability ball and roll forward so that the ball rests comfortably on the small of your back. Your shoulders and bottom should be on either side of the ball, unsupported. Support your neck with your hands, find a spot on the ceiling and keep your eyes glued to that spot. This keeps you from tucking your chin to your chest during the crunch. Squeeze your abs and do a crunch, but only sit up about halfway or about 45 degrees from horizontal. This keeps your abs engaged during the whole movement. Lower back down until your torso is horizontal or you feel a slight stretch through your abs. 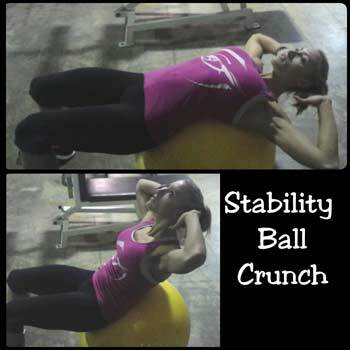 If you are accustomed to doing crunches on the floor, doing them on the ball will feel a lot more challenging. Variations – Hold a light medicine ball or dumbbell for added resistance, or try crunches on a BOSU for a similar movement that recruits slightly different muscles. For an extra challenge, try adding a slight torso twist at the top of the movement to target your obliques—the abdominal muscles along the sides of your torso. Lunging is an activity that you probably do many times each day without realizing it, like bending down to tie your shoe or getting out of your car, so keeping these muscles strong and functional is important. Stand with your feet together. Take a big step forward with your right foot, and bend both knees to lower yourself close to the ground. Keep your chest up and right knee directly over your right foot, so that your shin stays vertical. Push off your right heel and step your feet back together for a basic forward lunge. Repeat 10 repetitions per leg. Do all your repetitions on one leg before switching sides, or alternate legs. Variations – Instead of stepping forward, try stepping backwards in a reverse lunge. You can also try continuous walking lunges. For more resistance, hold dumbbells in your hands or place a barbell over the back of your shoulders.